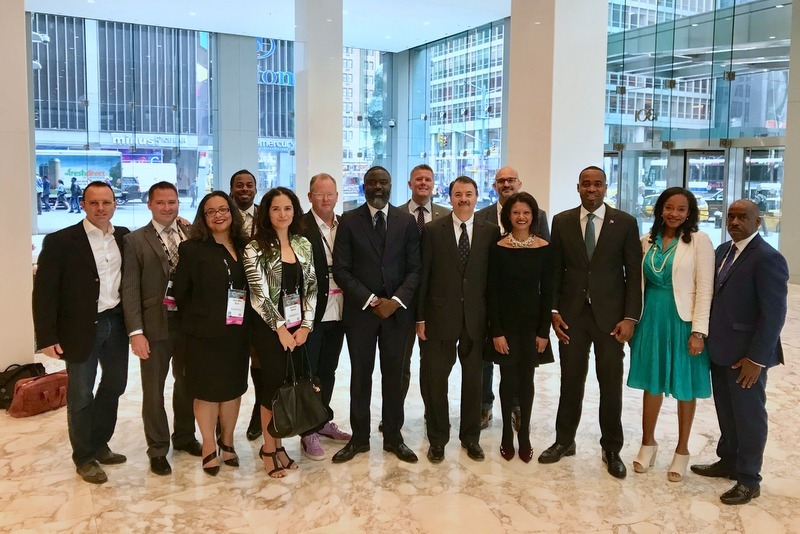 Bermuda continued to attract international attention in New York today [May 15], as Premier David Burt announced a $10-million partnership with blockchain network Shyft and addressed more than 100 lawyers at a top global firm. 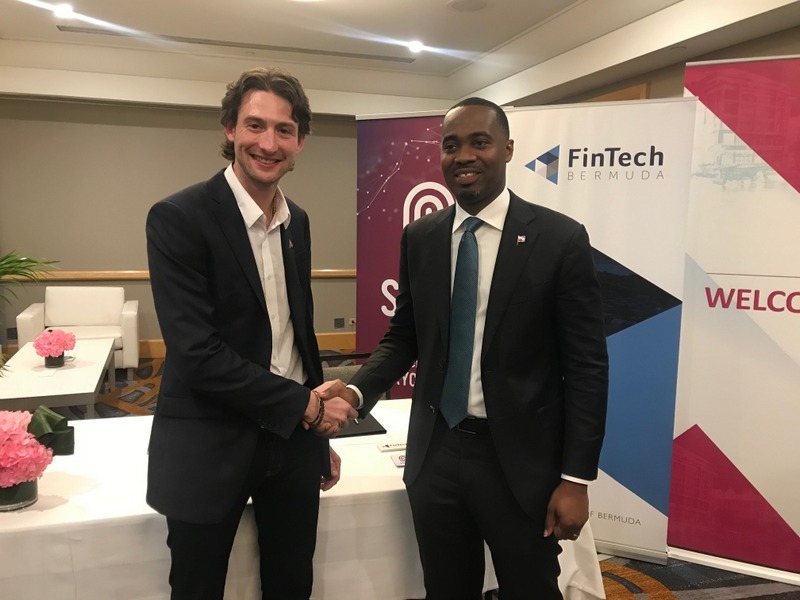 “A highlight making news at the conference was this afternoon’s announcement of the Bermuda’s government’s Memorandum of Understanding with Shyft, a global blockchain-based network offering data protection for governments, industry and consumers. “The government of Bermuda has decided to lead the way and build interoperability into legislation, in essence, approach regulatory frameworks with exportability in mind,” said the Premier, who lauded an additional joint venture announced between Shyft and Bermuda’s Trunomi, adding both partnerships would bring robust levels of blockchain certainty to the island’s know-your-customer [KYC] and anti-money-laundering [AML] protocols and processes. 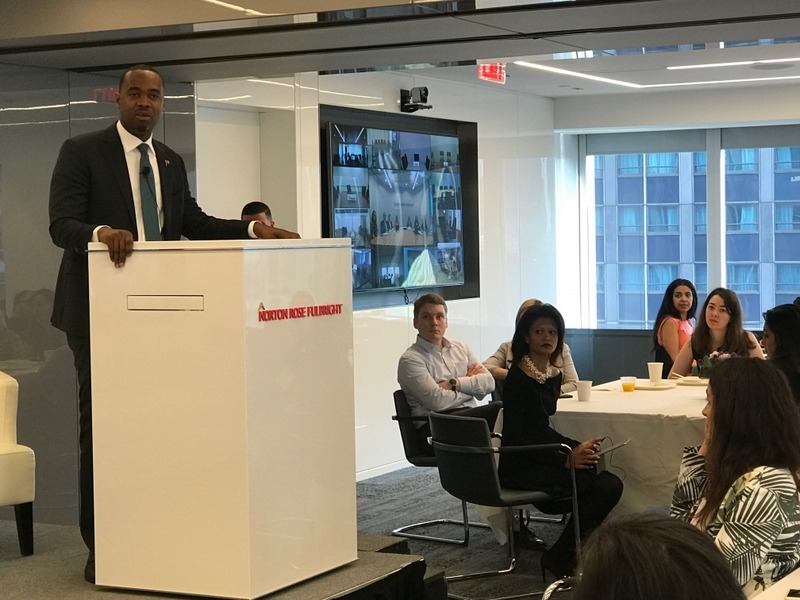 The Premier and Bermuda group, comprising members of industry, the Bermuda Monetary Authority, and Bermuda Business Development Agency [BDA] were also invited to the Manhattan offices of global law firm Norton Rose Fulbright to talk about Bermuda’s economy and the island’s innovative approach to business. 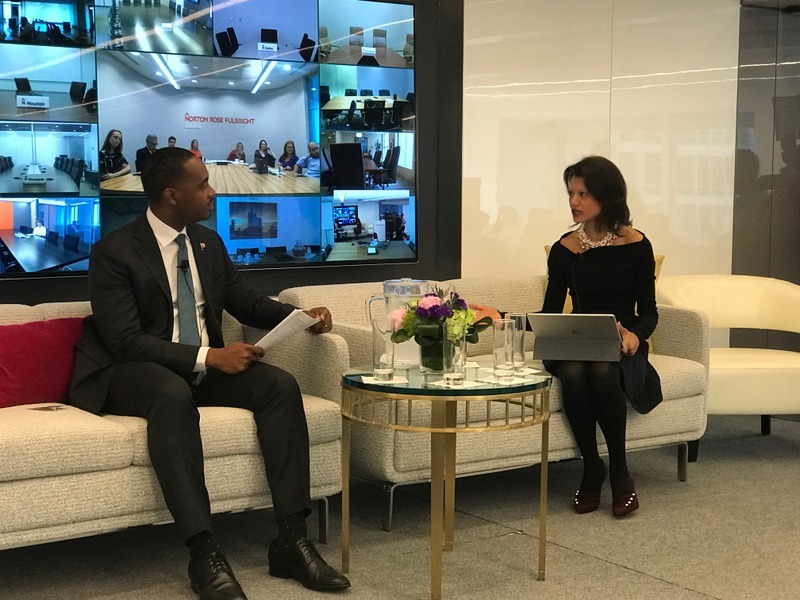 The Premier addressed an audience of nearly 100 of the firm’s lawyers from practice groups across all sectors who attended, as well as others connected via videoconference in Toronto, London, Munich, Frankfurt and the Middle East. Norton Rose Fulbright is ranked in the top five global law firms in the world, with more than 4,400 lawyers and 7,000 employees. 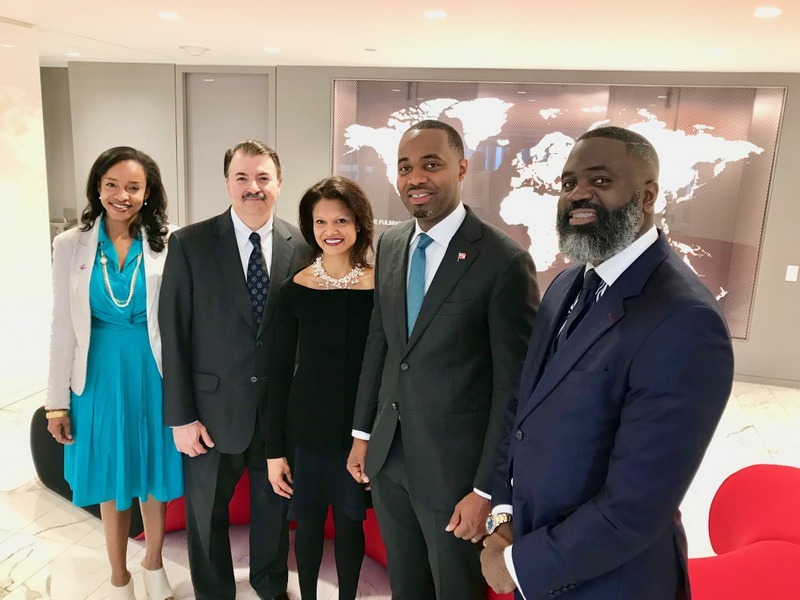 “Norton Rose Fulbright was absolutely delighted to host this event and collaborate with the Bermuda government in its vision to become a global leader in the fintech arena,” said Partner Mina Matin, who previously worked in Bermuda and continues to advise insurance clients on the Bermuda Form. 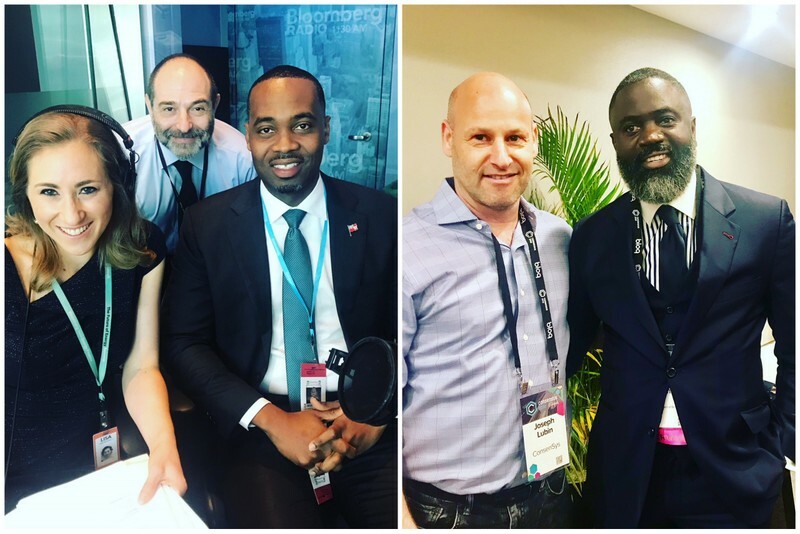 Premier Burt also met with major media outlets, describing Bermuda’s pioneering fintech initiatives on Bloomberg Radio, where, for the second time this month, he was a guest on the live national radio programme, “P&L with Pimm Fox & Lisa Abramowicz.” The Premier was also interviewed by Nasdaq, Coindesk, and the New York Times. “It’s great to see Bermuda’s presence at this conference, and even greater to see the activity you’ve put into understanding the cryptocurrency space, the blockchain space, and into moving forward aggressively to write legislation and enable companies like us to come to Bermuda and build businesses there,” said Joseph Lubin, Joseph Lubin, co-founder of Ethereum and founder of blockchain giant ConsenSys, one of numerous industry figures who came for meetings in Bermuda’s networking suite. “This conference is a great gathering point for many with different agendas in this industry space to come together and figure out how to do business together,” he said. 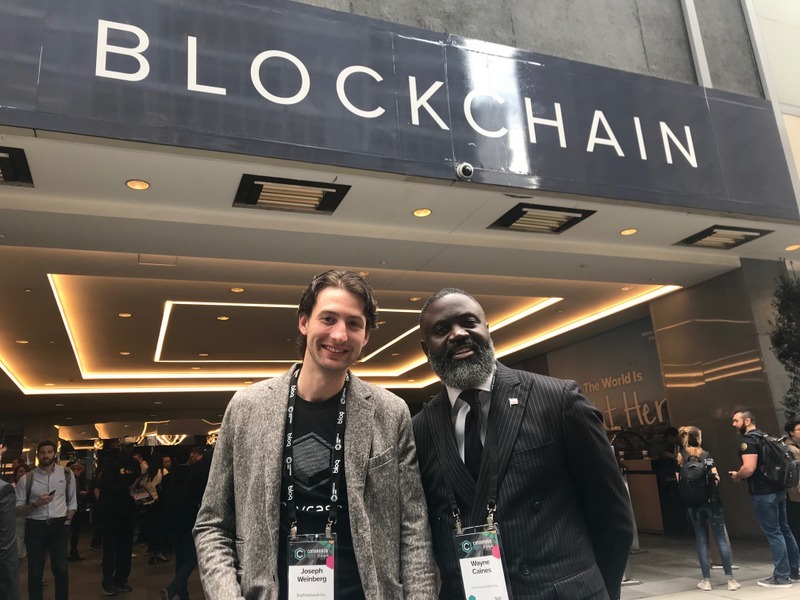 The Consensus 2018 conference, which has attracted more than 8,000 delegates, wraps up tomorrow. Interesting who is not in the center of picture. PLP hedging their bets on this crypto currency.It better work else. Blockchain tech will revolutionize, many things in the world. It is the foundation of Bitcoin’s success. Kudos to you and your team! Wishing success to your endeavors! Hiring the CEO of Paycase Financial. PLP must be trying to find an easier way to send more remittances out of Bermuda. Helping their foreign friends & family out once again. On top of it all this guy has no clue how to work on any other blockchain except bitcoin. PLP needs to do more research on what they are selling. Bermuda get ready to make another country richer than we already have while Bermuda loses what little wealth it has left.